The holidays are fast approaching, with Thanksgiving right around the corner. A time for lavish feasts and get-togethers with family and friends, your home often plays a starring role in these festivities. As one of your most valuable investments, you want to protect it against costly damages while protecting yourself against potential liability. 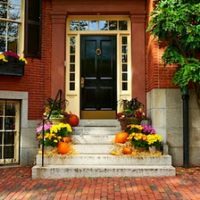 As your neighborhood law firm, our experienced New York real estate attorneys at Cavallo & Cavallo have some tips that can help. Enjoying holiday traditions while spending time with family and friends is one of the best things about having a home. However, any time you are busy decorating, cooking, and entertaining a crowd, there is always the potential for mix ups and accidents. If you intend to use a turkey fryer, do so outside and carefully follow all manufacturer instructions. In addition to preventing fires, be careful during Thanksgiving set-up. Putting up holidays lights, moving furniture to accommodate guests, and getting your yard or other areas ready can increase your risk of accidental injuries. In addition, if you are going out of town, do not forget to make sure your home is secure before you leave. Though it is not likely to be the first thing on your mind, inviting guests to your home does leave you open to potential liability. Guests who are hurt or suffer damages while on your property and due to unsafe conditions could be entitled to compensation through your homeowner’s policy. In addition to raising your rates, it could also increase your odds of being sued in the event your coverage is not enough to cover damages. Use trip guards on stairs and make sure railings are tight. At Cavallo & Cavallo, we are here to help in whatever life throws your way. For legal guidance and answers to your questions about insurance and homeowner liability, contact our New York real estate attorneys to request a consultation in our Bronx or New Rochelle office today.